Here are some of my favorite stars of 2017 that haven't quite blown up yet in popular media, but most definitely will soon. 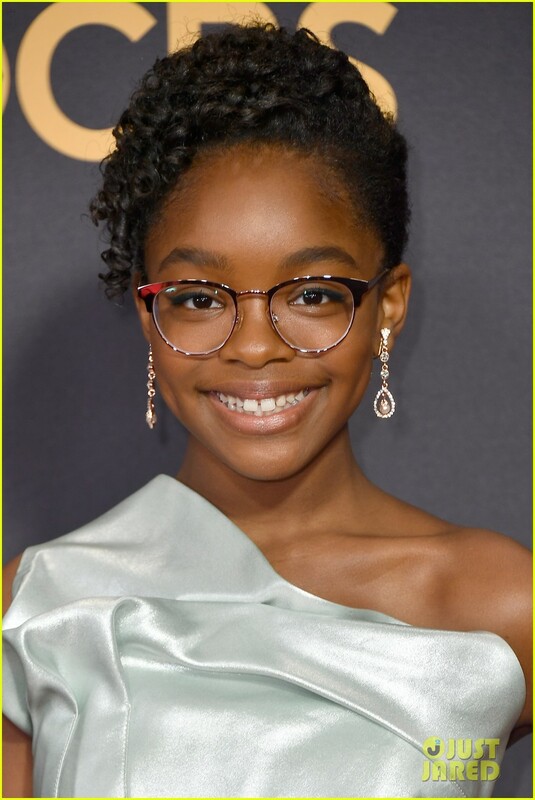 “Black-ish” star Marsai Martin is set to produce and star in her first film titled “Little”, at only 13 years old. Not only that, but she was the brains behind the idea of the movie’s plot as well. This comedy is planned to be about an adult woman who relives her carefree childhood over again, played by Marsai. This is definitely only the beginning of Marsai’s bright future. Billie Eilish is a 16-year-old singer who I personally have become obsessed with. She performed at UCSB during fall quarter this year, a day which I unfortunately could not attend. UCSB is known for having musical guests who later become stars, such as Khalid, and I doubt Billie is any exception. Her music style is edgy, alternative pop, like a mixture of Lorde, Lana Del Rey, and Melanie Martinez. She is not only of true vocal talent and of a mature sound at a young age, but she also is a crazy gifted songwriter. If you want to be blown away into a different universe and entranced, listen to Billie Eilish! Most people have heard of Dua Lipa, the Albanian British singer that has been taking the past year by storm. I believe however that she will blow up even more and take on super pop stars like Katy Perry and Selena Gomez. Dua has an incredibly unique alto voice with upbeat and fun songs. Dua Lipa is one of those artists that you won't be able to forget after listening to once. I predict that 2018 is her year! Michaela Coel is an actress, screenwriter, songwriter, singer, poet, and playwright. Yes, you read that right. She is a British force to be reckoned with who has more talent that most people have in their left thumbs. Her Netflix show, “Chewing Gum” is one of the best comedies that I have ever seen and has been picking up a lot of steam since it's release. You might have also seen this actress in Black Mirror’s episode called, U.S.S. Callister, where her charm and humor do not go unnoticed. Michaela Coel will be running Hollywood in no time. Ava Kargosha is a first year Psychology and Brain Sciences major at UCSB. She loves reading, writing, drinking Arnold Palmers, and frantically catching up on TV shows.